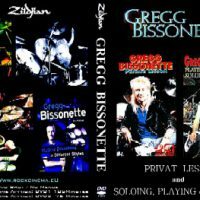 Gregg Bissonette is one of the greatest and most versatile drummers in the world today. 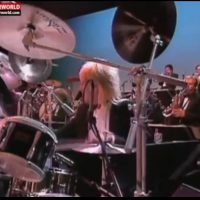 His career has spanned 5 decades, working with top artists in every genre he masters including Maynard Ferguson, David Lee Roth , Santana, Joe Satriani, Toto, Ringo Starr and dozens more. 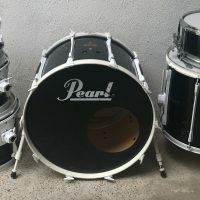 This 1980s Pearl – All Maple Shell set was used early in his now legendary career. 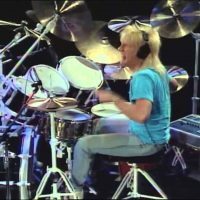 Parts of this set were used most notably on David Lee Roth’s 1988 “Skyscraper” tour and the “Just Like Paradise” and “Stand Up” music videos. 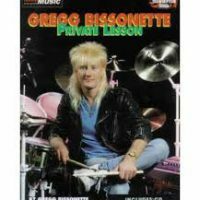 These drums are also featured on Gregg’s “Private Lesson” instructional video and the “1989 Buddy Rich Memorial Scholarship Concert” video. 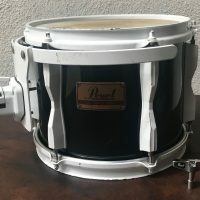 Bissonette had a large number of Pearl drums in this unique finish that were used in several different configurations during this period. 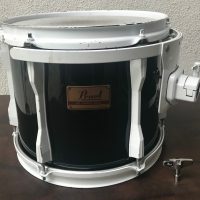 The Black Lacquer/ white powder coat set now includes an 8×10 Tom, 10×12 Tom, 12×14 Tom, 16×18 Floor Tom, 16×24 Bass Drum, 6×14 Free Floating Snare Drum, 4 Boom Stands, 4 Multi-Clamps and 1 Tom Arm. 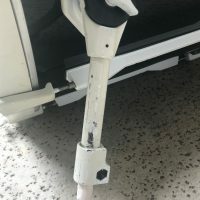 The toms include RIMS mounts. 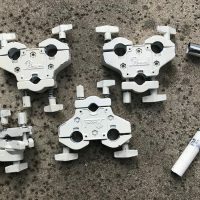 The RIMS mounts cover the mounting holes for the original Pearl mounting brackets. The set is completely functional and looks amazing however it does show signs of being used on concert and studio stages around the world. 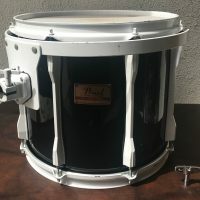 The are several small chips in the powder coated hardware finish and some nicks in the black lacquer drum finish (all visible in the photos). 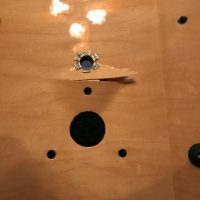 There is a nick in the edge of the bass drum and a small rack visible on the inside of the 12″ tom shell (see pics). 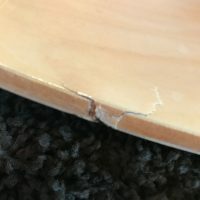 Some of the screws on the inside of the 12″ tom have been replaced with self tapping screws (an emergency road repair performed while on tour with David Lee Roth). 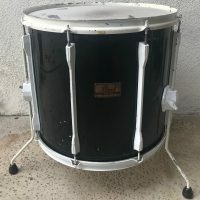 The drum still looks, performs and sounds amazing. 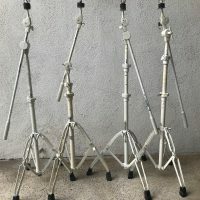 The powder coating on the cymbal stands limits their adjustability however they remain fully functional. This is truly an amazing sounding set. 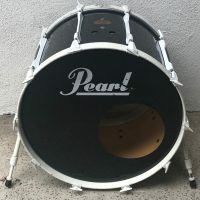 After retiring the kit from live and studio work, Gregg used it in his personal practice studio for decades. The set was acquired directly from Bissonette. Includes a COA and David Lee Roth “Skyscraper” original tour program signed by Bissonette. Bissonette is willing to sign the set in any manner the buyer would like. See and hear the set in the videos below. PRICE: $9,995.00. Serious offers considered.